Current treatment options for the parasitic disease leishmaniasis are largely ineffective, expensive, and tend to be plagued by resistant parasites and side effects. Now, researchers reporting in PLOS Neglected Tropical Diseases have showed that a natural flavonoid is effective at treating Leishmania amazonensis infections. Leishmaniasis is endemic to 98 countries and affects more than 12 million people around the world. Treatment is possible with pentavalent antimonial, but many Leishmania parasites have become resistant to antimonial chemotherapy. Flavonoids— a group of natural compounds that are isolated from fruits, vegetables, wine and coffee— have been considered a promising candidate for leishmanisis treatment. 2’-Hydroxyflavanone (2HF), part of a class of flavonoids found in citrus fruits, is already being studied for its use in cancer chemotherapy. In the new work, Elmo Almeida-Amaral, of the Oswaldo Cruz Foundation, Brazil, and colleagues studied the effect of 2HF on wild-type and antimony-resistant L. amazonensis parasite cells, and then went on to test the effectiveness of the compound in treating mice with L. amazonensis infections. 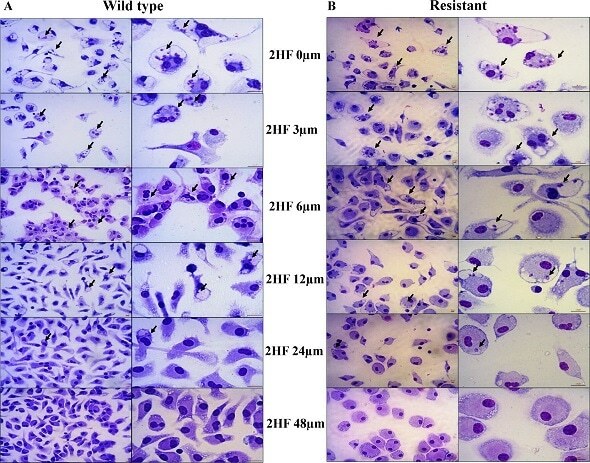 2HF stopped the proliferation of L. amazonensis parasites in both their free-living form and the form that infects human cells in both strains of L. amazonensis tested. In addition, 2HF reduced the overall number of parasites in an infected mouse, and reduced the size of lesions caused by the cutaneous form of leishmaniasis. No side effects were seen in the treated mice.